Should the law force people to stay married? The Supreme Court has ruled on the case of Owens v Owens  UKSC 41,  All ER (D) 144 (Jul) that a miserable marriage is not grounds for divorce. “The appeal of Mrs Owens must be dismissed. She must remain married to Mr Owens for the time being,” the supreme court judge Lord Wilson said in the majority ruling. “Parliament may wish to consider whether to replace a law which denies to Mrs Owens any present entitlement to a divorce in the above circumstances”. 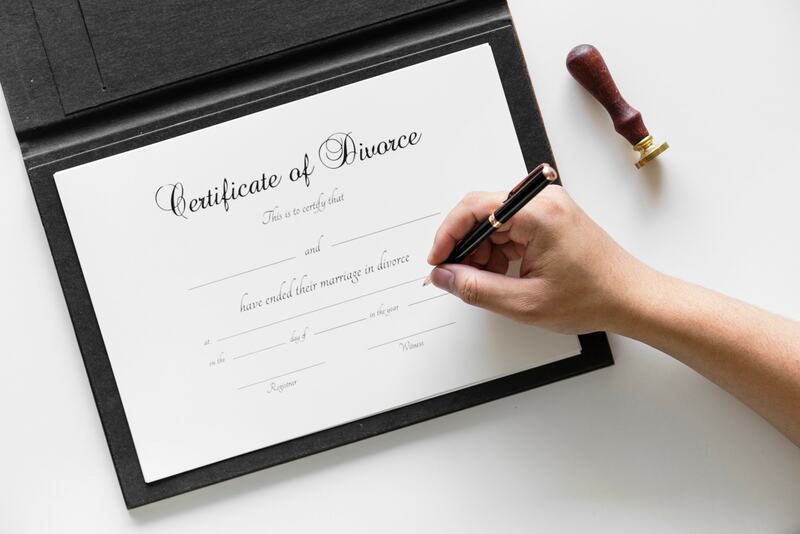 The case has ignited a debate regarding no-fault divorce in England and Wales, with a majority of family lawyers, family support organisations (including Resolution), and even judges calling for the law to be reformed to take away any element of blame in divorce proceedings. Hugh and Tini Owens were married in 1978. They have two adult children and built a prosperous business which turned over around £5 million a year. However, Mrs Owens was unhappy. She first consulted solicitors about a divorce in 2012, but despite her having an affair the couple continued to live together until February 2015. Mrs Owens claimed that Mr Owen’s unreasonable behaviour made him impossible to live with. She said he prioritised his work over their home life, his treatment of her lacked love and affection, he was often moody and argumentative, he had disparaged her in front of others, and that she had grown apart from him. In 2015, Mrs Owens presented 27 examples of Mr Owens unreasonable behaviour to the court. Her husband took the unusual step of defending the divorce. Very few divorces are defended due to the animosity and large legal bills which accompany such an action. If a respondent to a divorce petition objects to the examples of unreasonable behaviour, solicitors for the parties should negotiate to have the particulars of the petition amended. Because Mr Owens chose to defend the divorce, the trial judge had to examine the examples of unreasonable behaviour and see if they resulted in an irretrievable breakdown of the marriage. In a shocking decision, he held they were not. He stated that Mr Owens was simply “old school” and Mrs Owens was “more sensitive than most wives”. Mrs Owens appealed, and the Court of Appeal again dismissed her claim. The court held she had she had failed to establish, in the legal sense, that her marriage had irretrievably broken down, despite one judge saying she had reached her conclusion with “no enthusiasm whatsoever”. Using this test, the Supreme Court agreed with the lower courts’ conclusions, with lady Hale stating that although it was a “very troubling case”, it was not up to judges to change the law. The Divorce (etc.) Law Reform Bill, a Private Member’s Bill introduced to the House of Lords by Baroness Butler-Sloss will require the government to re-examine the current rules around divorce and civil partnership dissolution and consider a no-fault system. This will be welcomed by family law solicitors dealing with divorce, who have to balance the desire by the legal system to encourage couples to work out financial settlements and arrangements for children between themselves against a law which attaches blame in most divorce petitions. It is hoped that the government listens to the outcry caused by this case and moves to change the law to establish no-fault divorce. In the meantime, Tini Owen’s has no choice but to wait until 2020 to divorce her husband – the point in which she will have been separated for five years. That is a long time to be forced to remain in a marriage that is well and truly over. Especially when you are 68 years old. Guillaumes LLP Solicitors is a full-service law firm based in Weybridge, Surrey. We have a highly experienced family law team who can assist you with all matters relating to divorce. To make an appointment, please call us on 01932 840 111.